Flatford Mill is the subject of one of John Constable's most famous paintings and the area around it is deservedly an Area of Outstanding Natural Beauty. 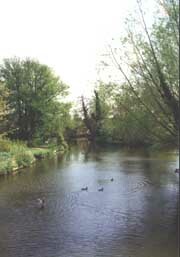 Flatford can be found about one mile south of East Bergholt, where John Constable was born. It's a popular area, especially during the summer when people arrive to walk beside the river Stour, or cycle, or join the ducks on the water in hired rowing boats. The River Stour Trust run electric launch trips through Constable Country and Flatford Mill, every Sunday and Bank Holiday from Easter to early October. 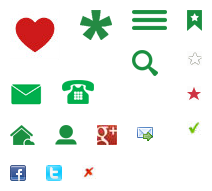 Telephone 01787 372602. John Constable (artist), the great, great grandson of John Constable landscape painter, is the current president of the Trust. 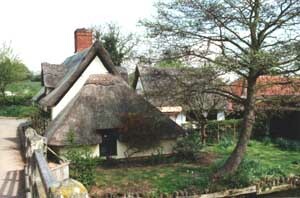 Alternatively click on Essex and Suffolk to find cottages in north Essex and south Suffolk which encompass Constable Country. 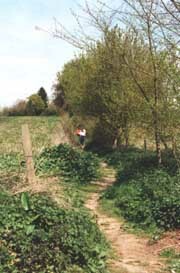 There are several walks in and around the area of the Stour Valley, suited to all abilities, and it's possible to walk to Dedham, or a little further to Stratford St. Mary. If you bring a picnic lunch, remember to bring something for the ducks that come to investigate what you're eating and the blackbirds and chaffinches also appreciate a crumb or two. The Tourist Board have a map displayed (shown on right) with the river and walks marked on it. There is a charming National Trust thatched tea and gift shop at Bridge Cottage at one end of the bridge should you come unprepared, where you will also find a Constable exhibition. Short guided walks to view the sites that Constable painted are run every afternoon, Easter and May through to the end of September. There is a small charge for this and groups should book in advance. The views all around are terrific and you will probably simply enjoy being there. Strategically placed benches along the public footpath provide welcome opportunities to rest and gaze. 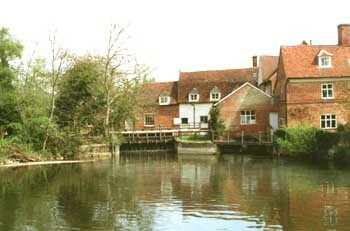 You will find Flatford Mill and Willy Lott's house along from the lock towards the River Stour. There's also a granary museum should you feel the need to find out about farming in the past. A small charge is levied for parking in the Flatford car park. 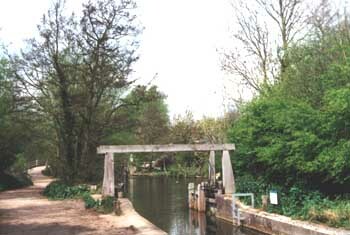 Flatford Lock with the foot/cycle path to the left. 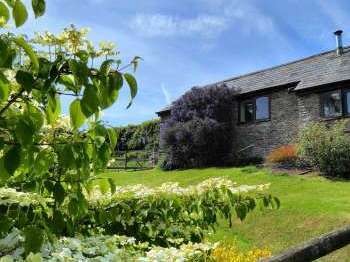 Find lovely self-catering cottages and luxury country cottages in Suffolk to stay in whilst exploring Flatford and Constable Country, on the Essex and Suffolk border, using the menus.